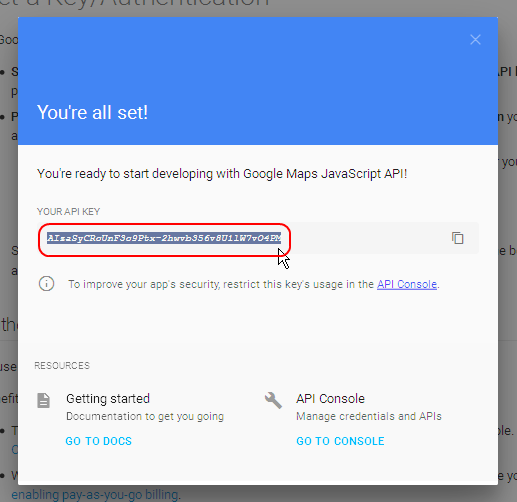 A new key can be obtained going to the Google Maps APIs or clicking on “Get a new Google Maps API key” hyperlink in the licence text window. 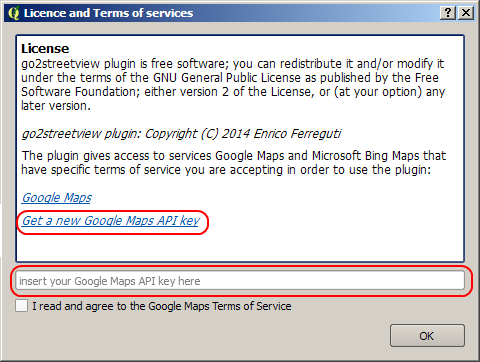 It seems to ask a billing account to do the procedure descibed above…. It is correct ? you need to provide a credit card number ? We have been using Go2StreetView for the past few years in our business. 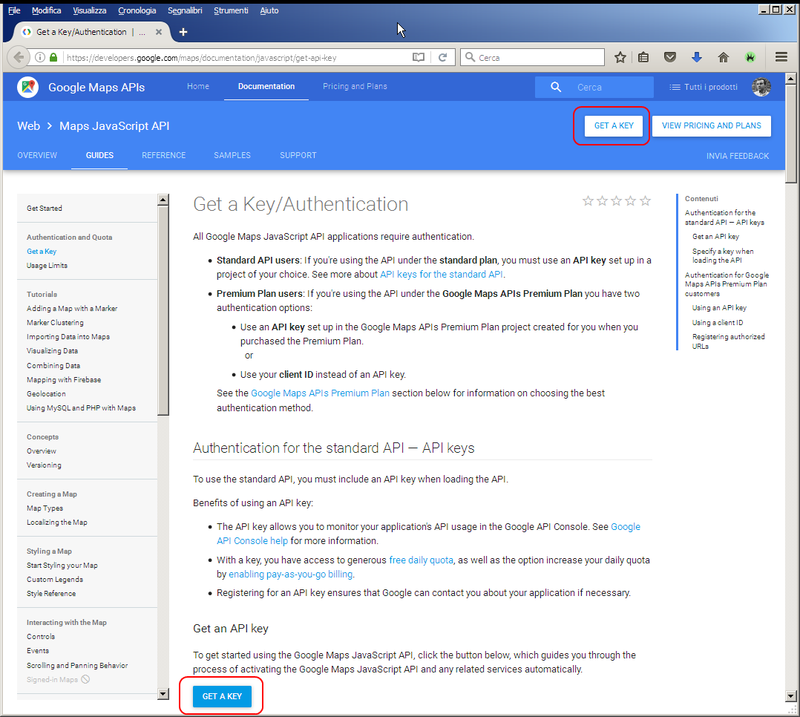 Since it started requiring the API Key, I advised each user to set up a work account for the API they use at work. 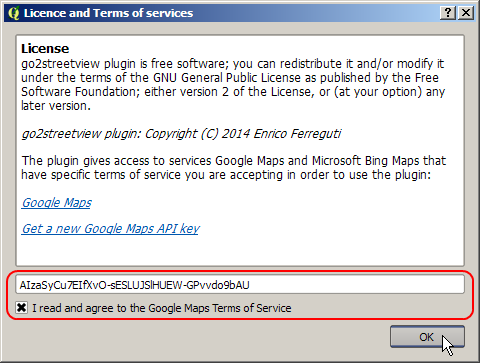 This is only for occasional use of this excellent plugin, no other projects. Now with this requirement for a billing account, I am wondering whether we can carry on using the plugin at all, and if so, how best to arrange it. It is a shame.